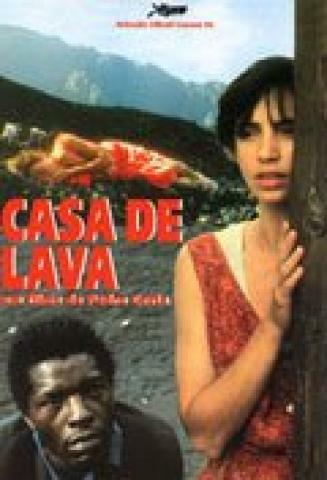 Cape Verde : "Casa de Lava"
"Casa de Lava" a.k.a. "Down to Earth"
Credits: Cinematography, Emmanuel Machuel ; editor, Dominique Auvray ; music, Raul Andrade, Paul Hindemith. Actors: Inês de Medeiros, Isaach de Bankolé, Edith Scob, Pedro Hestnes, Raul Andrade, Sandra do Canto Brandão. Summary: After being assigned to care for an injured immigrant worker, nurse Mariana goes returns with him to Cape Verde. There she meets islanders whose disturbing realities make her reexamine her own dissatisfaction with her former life. Special features: Director’s notebook; cinematographer Emmanuel Machuel; Serge Kaganski commentary; posters; photos; filmography. Language Note: In Portuguese and Creole with optional subtitles in French, English and Portuguese.